I was shocked by this enlightenment after chasing beautiful design for a couple of decades early in my career: design really isn’t all about aesthetics. Design is ultimately communication, and is about capturing attention and quickly delivering a multifaceted story that has both emotional and factual aspects. Beauty itself can sometimes get in the way. 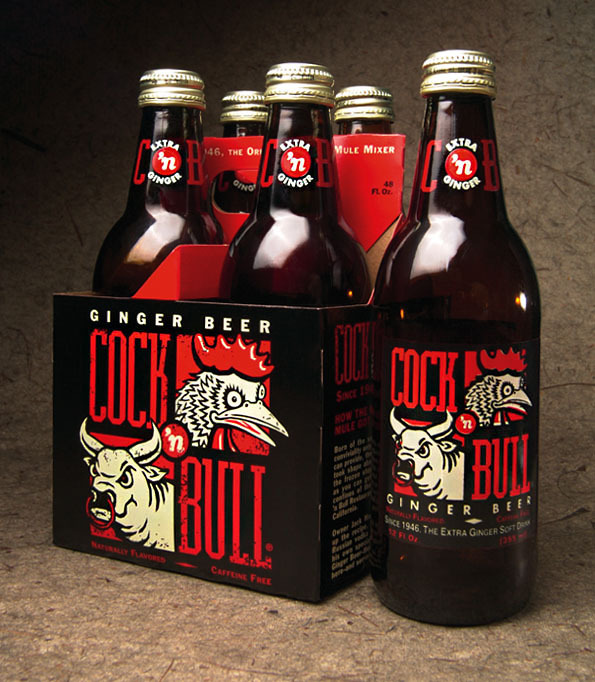 My job as a beer packaging designer is to give buyers some idea of what’s inside the bottle, and better yet, a sense of how they will feel when drinking the product. Effective design has its basis in applied psychology. A successful design requires a solid command of color, texture, typography, imagery, language and much more, all of which I have developed over the course of my career. The brand ought to be clear and legible, work in multi- or single-color situations and be applicable to a wide range of applications and sizes. I will typically supply art in various formats: full-color process, spot color (Pantone), grayscale and high-contrast black-and-white. 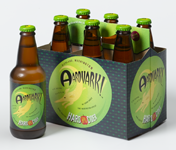 Beer Packaging is a challenging and specialized subset of graphic design and branding. 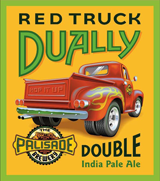 Beer labels are especially challenging because of their small size, wraparound format, quantity and specifications of mandatory legal copy and other restrictions. I've been lucky enough to work for a lot of brilliant and even visionary brewery owners and others in my career. As anyone who has ever done this kind of work knows, during the process there is always a highy dynamic interchange of ideas and opinions, and the best work—and results—come when both sides of the table pursue their ideas with passion and intensity. It can get rough at times, but with these folks it's always purposeful and in the right spirit. The result is work everyone can feel proud of. 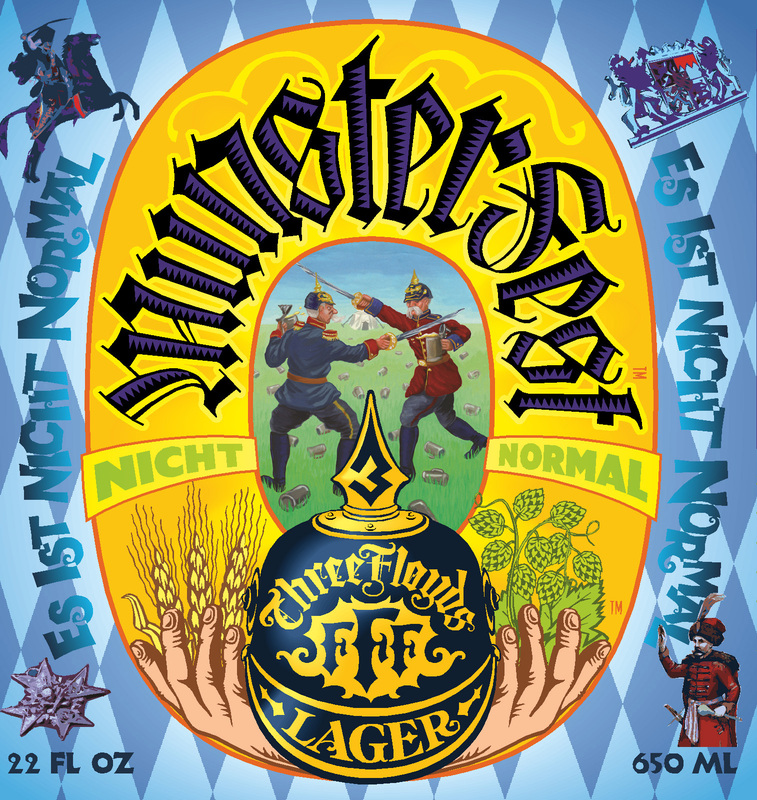 This Chicago-based brewery specializes in lagers and other Germanic styles. The family of one of the owners is in the metalworking business, and they were interested in a retro-industrial feel with a little art nouveau on the side. 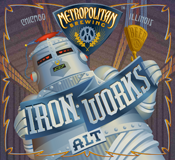 The Gen-X robot I created, since named Fritz, first appeared on the Ironworks label and quickly became the brewery mascot. A full-size sheet metal robot serves as a tap box at beer festivals. 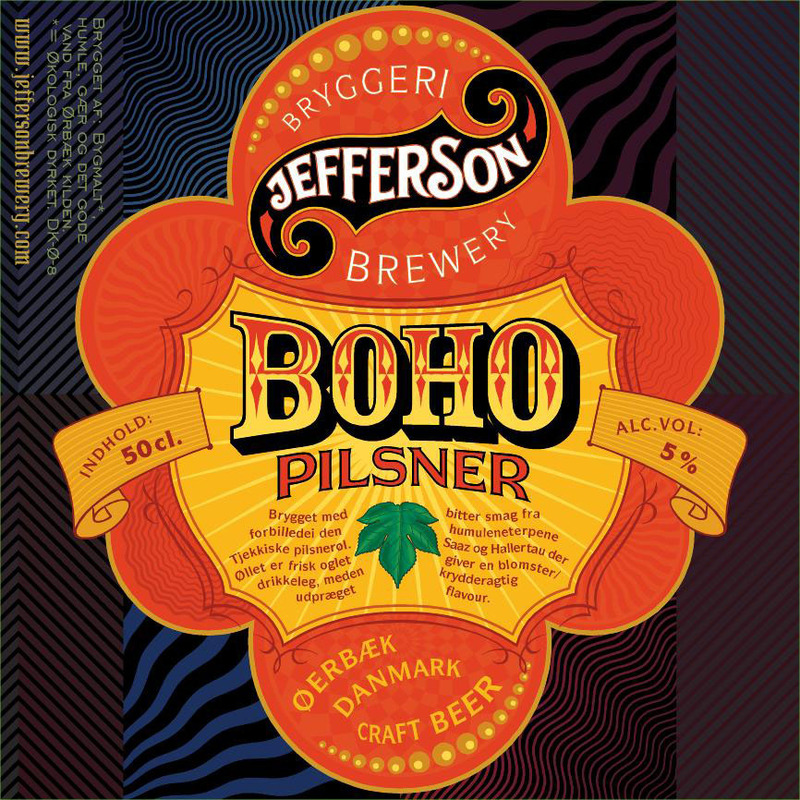 On the Norwegian island of Orbaeck, Rømer is an organic craft brewery situated in a nineteenth-century brewery building. 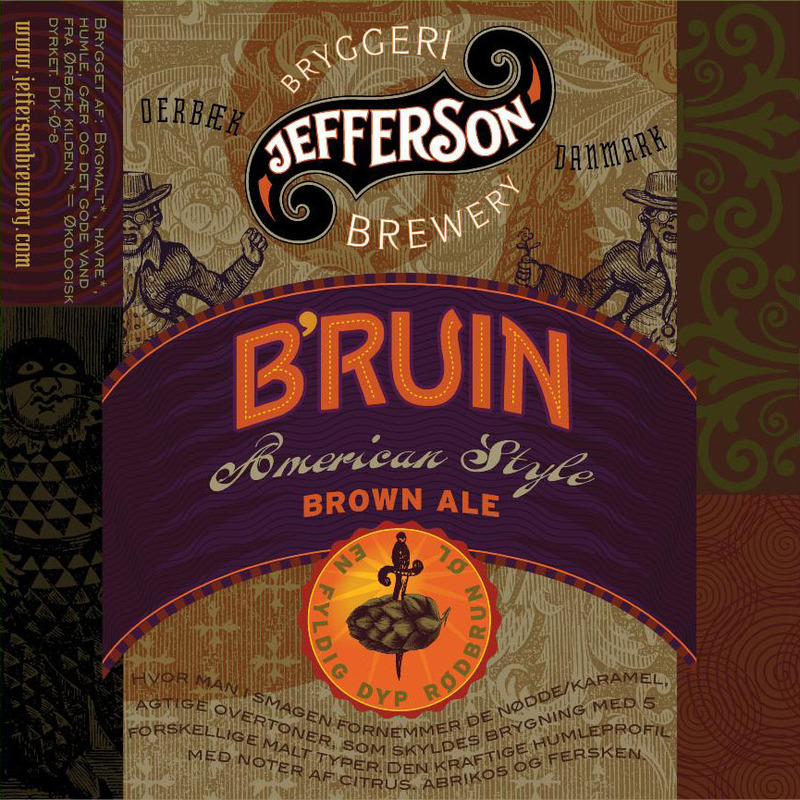 The two brothers who own it were launching a North-American-styled line of beers and chose an American (me) to do the designs. I developed the logo based on a scroll pattern found in some old mandolins, a folksy and uniquely American cultural object. 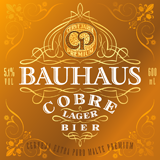 I created the labels with a modern structure, but from components that had a more antique look. They’re designed to be rich, inviting and almost tactile, inviting a taste of what’s inside. Scandinavians enjoy a tradition of Easter and Christmas beers, perhaps more enthusiastically than those found anywhere else. These labels mix a bit of menace with the celebratory spirit. 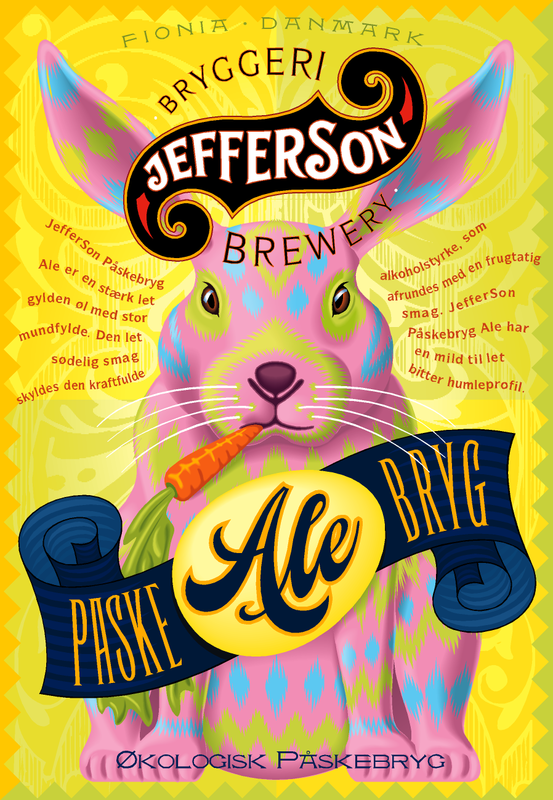 The confidently brooding rabbit stands guard over the Easter beer; the spiky little elves known as nisse can bring joy, but can also mete out punishments to wayward boys and girls when deserved. 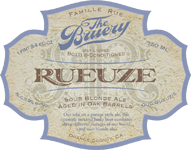 When I began working with this startup brewery in 2007, founder Patrick Rue had an usually clear sense of his mission in the beer world. 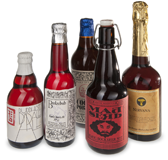 His plan was to produce only very special beers, packaged in 750-ml Champagne-style bottles. 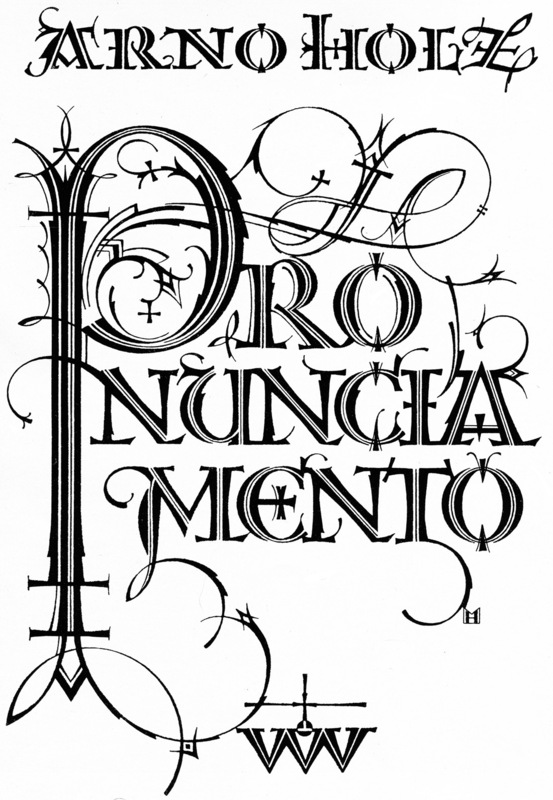 The name itself is a pun on his family name, and is unique without being in any way limiting. I developed the logo from a scribble by Patrick and his brother and created it to reflect the classic and traditional, but with consideration for the unique spelling, indicating it didn’t mind bending the rules. Since they were doing something a little different, it was clear that we needed labels that would stand out from the crowd. I felt pushing in the direction of the wine world was a good idea, but didn’t want to go too far. 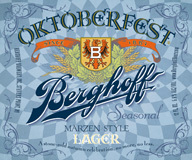 It was also clear that there would be a lot of different beers, far more than a typical brewery. 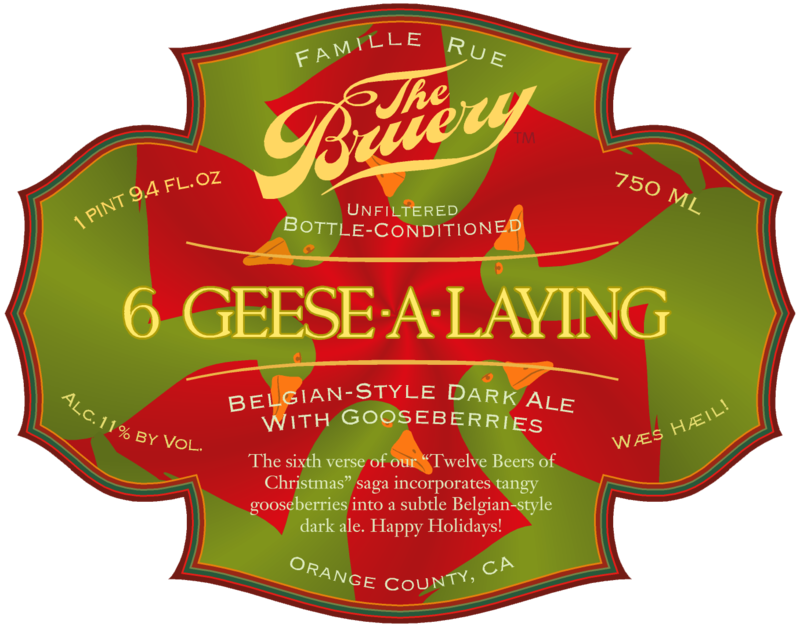 So, a design approach or system was needed to keep the work required for each label manageable, lest the design be too expensive for the beer. 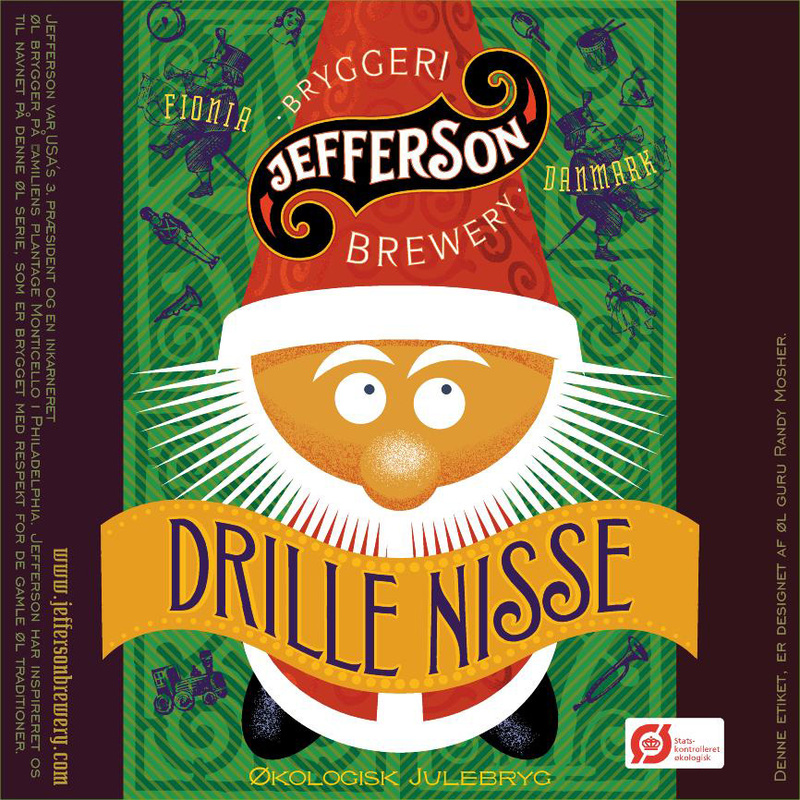 Since they use short-run printing on pressure-sensitive labels, unique die-cuts were a useful option. I created a couple to start with and we’ve since added several more. 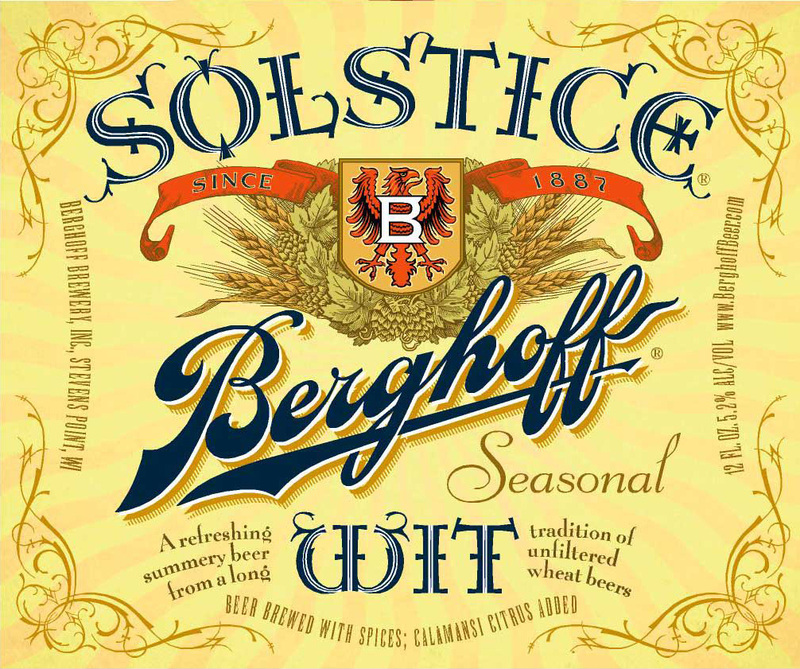 The shapes of the labels are cue for the general type of beer: seasonal, wheat-based, main line, collaboration and others. A simple typographic approach with geometric background patterns and sophisticated color palates was my starting concept. 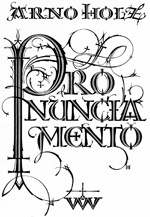 This has broadened over time to include a wide range of typefaces and background textures. 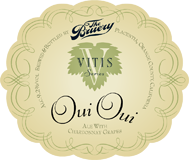 And the line includes a series of beers with wine grapes added, and a ongoing group of collaborations. When I got involved with its resurrection, this venerable old brand has seen some hard times. Battered by decades of declining sales and plagued by production and quality problems, its customers were literally dying, and it was looking like the brand would follow its aging customer base into the grave. It took a new generation to see the value in the tattered brand and to accept the challenge of breathing new life into it. We started with the branding and packaging. 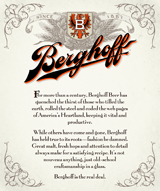 Despite its sagging sales and lackluster tastes, Berghoff maintained a lot of value as a Chicago icon, thanks in large part to the 120-year-old restaurant by the same name on Adams Street in the Loop. 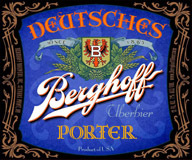 The old Berghoff image would be central to the new one. 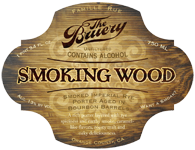 We started with a survey back to the earliest advertising material we could find, and eventually paid legendary label collector, Bob Kay, for a hi-res scan of an old label. 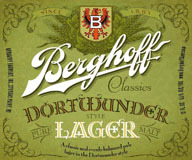 It featured classically beautiful brewery script lettering along with a spray of hops and barley ears. I redrew this antique logo and cleaned up a few of the lumps and bumps, then applied it to labels that looked perhaps even a little earlier than the reference labels we were working from. I created an alphabet based on a calligraphy piece from a German graphic designer from the early 20th century named Max Hertwig. It’s one of those artifacts of the era where modernism is charging ahead, but the designers are still fascinated by earlier forms and are trying to find modern interpretations of them. 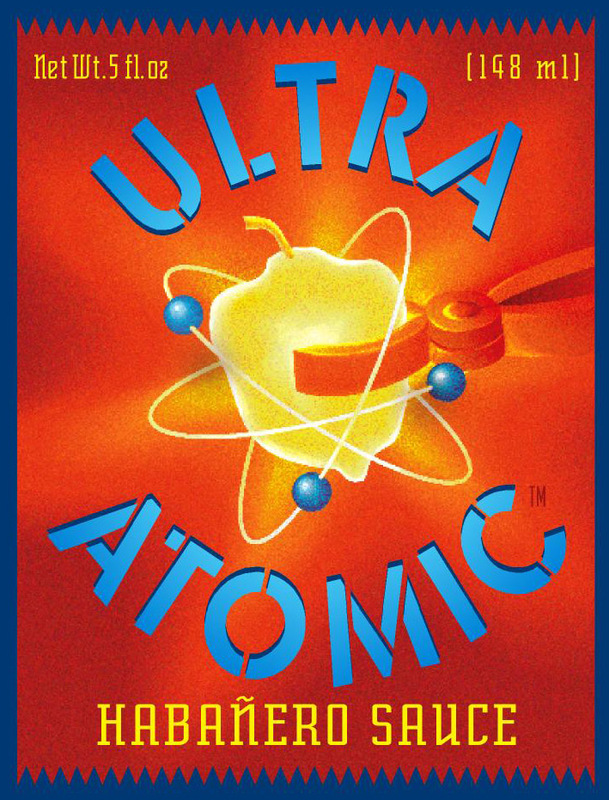 To my mind, this is one of the high points of graphic design history. 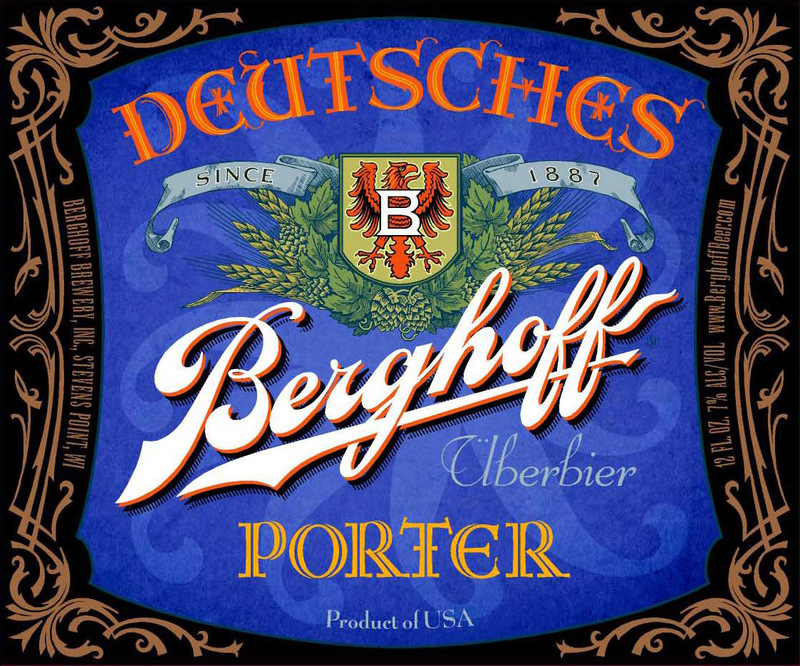 First up were the “Classic” series, basically the beers Berghoff was already brewing. 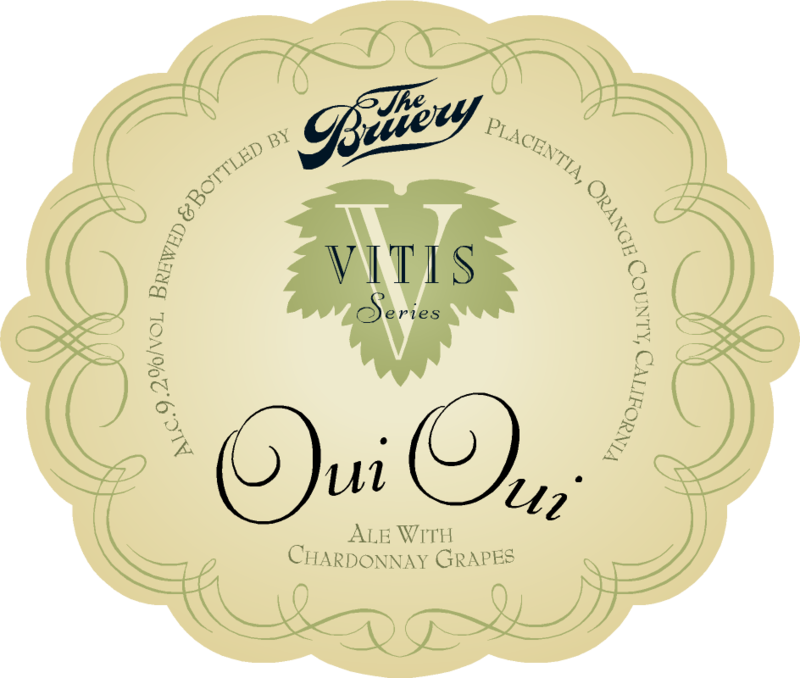 The labels for this line were given a monochromatic look, although with some subtle depth and textured backgrounds. Then came the launch. 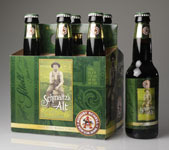 My redesigned packaging drew some renewed attention, but it was still the same old beer inside. 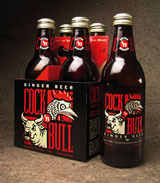 Once the company owners were satisfied that the packaging change had been successful, they gave the OK to start working on the beer. 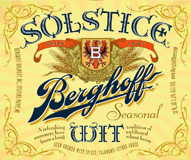 This involved starting from scratch on every existing beer, rebuilding the recipes totally. 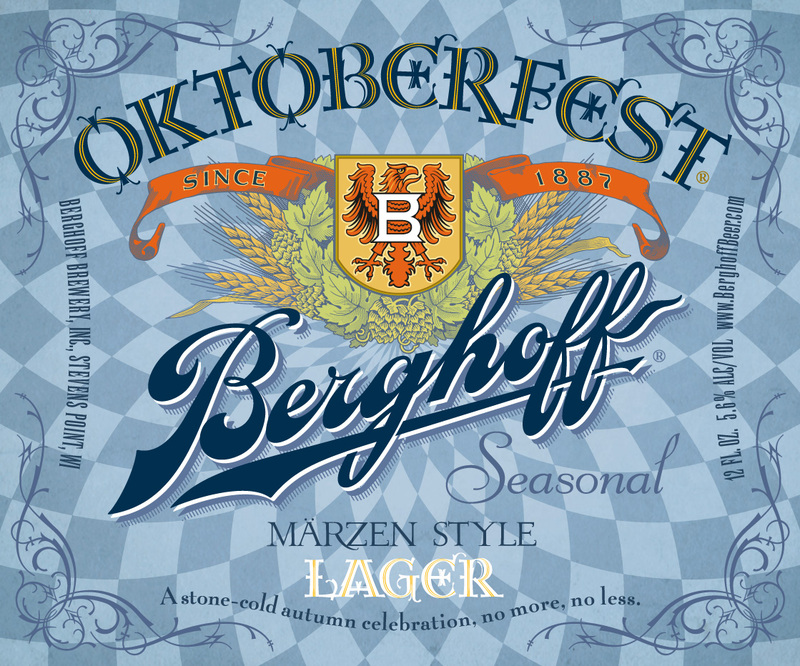 This was done by me and a brewing consultant (and currently the Siebel Institute’s Director of Education), John Hannafan, in close coordination with the Berghoff folks. 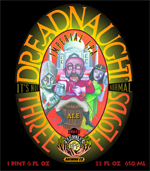 Beers that had been adjunct-based were made all-malt. 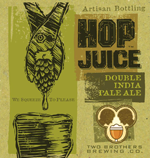 Hop levels were increased for both aroma and bitterness. 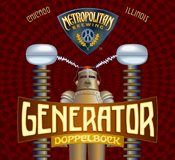 The dark ale, which had been just the pale lager with dark caramel syrup added (yep, that's the way everybody used to do it in the bad old days), was rebuilt as a toasty and drinkably dry dark lager. 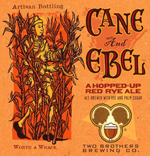 The Red Ale was changed from a tired 1990s red ale to a characterful modern version, which is to say brewed with a little rye and a lot of hops. 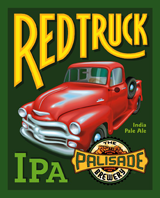 We also moved production to Wisconsin’s Stevens Point Brewery to better control quality. 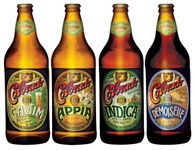 Many of the beers were re-named. 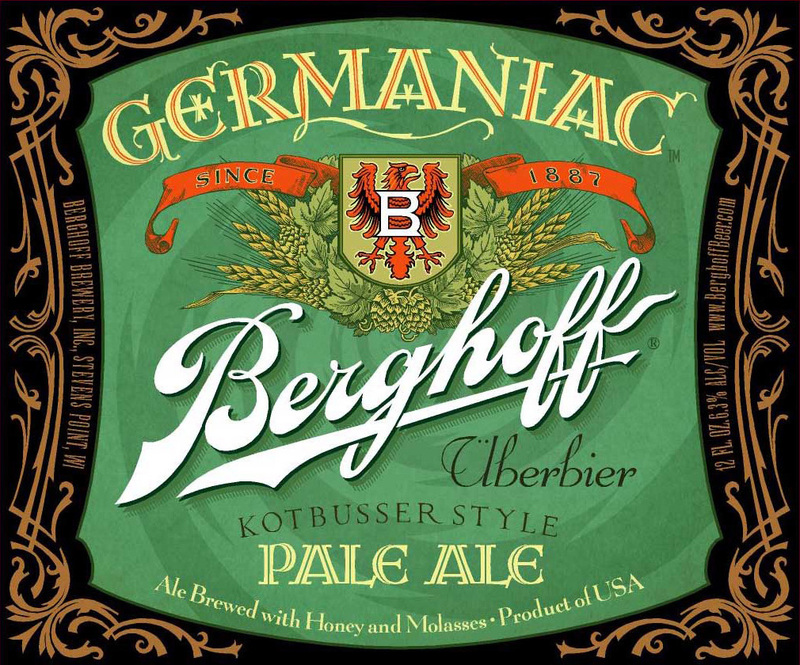 In addition, we created some new beers including a seasonal line and a series of special beers we call “Überbiers," the first of which, Germaniac, was based on a hoppy nineteenth century German ale called a Kottbusser, flavored with one percent each of honey and molasses. Other flavors have followed. 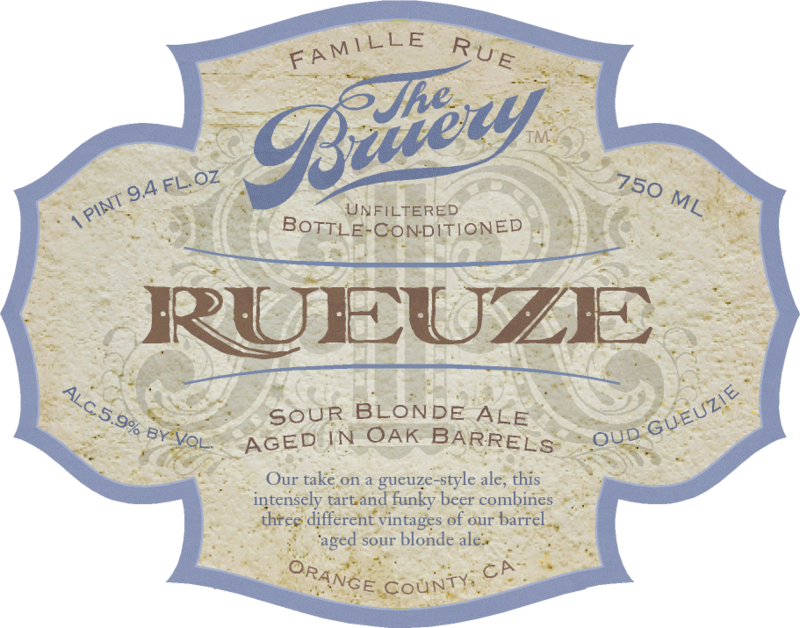 Finally, we thought it would be fun to try to revive an American stock ale, a type of barley wine that was once fairly common in American brewing, often aged in oak for months before being released. We formulated a beer that incorporated some raw sugar and topped out at about ten percent ABV. 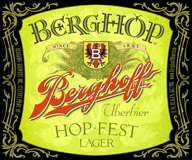 Hopping was high, and it is probably the first time in a century that eighty BUs worth of the old American hop, Cluster were used in a beer. Firmly planted in craft beer-land, but with no foot planted in traditional territory, Berghoff is winning new customers and once again growing sales. 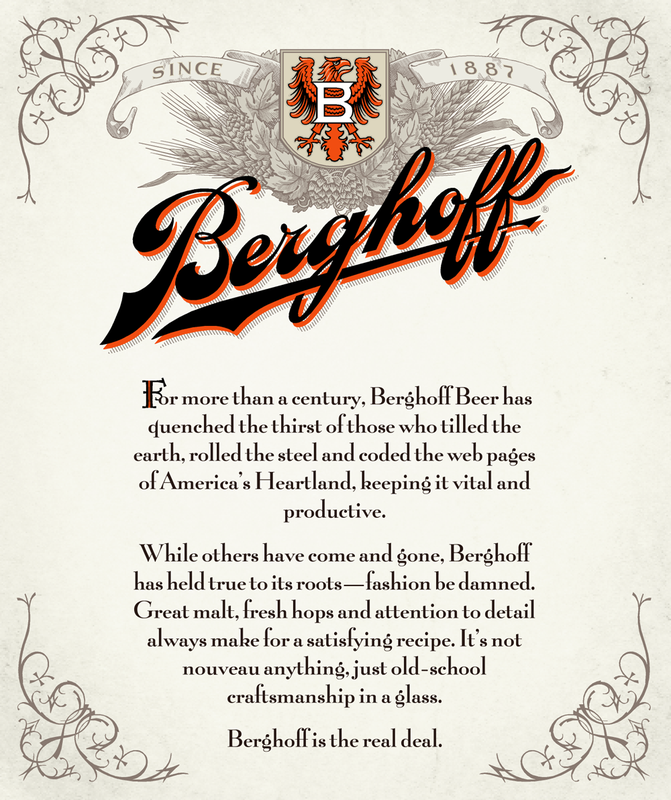 It’s been an honor to work with Ben Minkoff and the rest of the team on this legendary Midwestern brand. In 2006 the voice on the other end of the phone was saying, “Randy, this is Marcelo from Brazil. 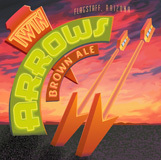 I have a brewery and I want to talk to you about some labels.” In the graphic design business, you never know from where work will come, but I wasn’t expecting this. 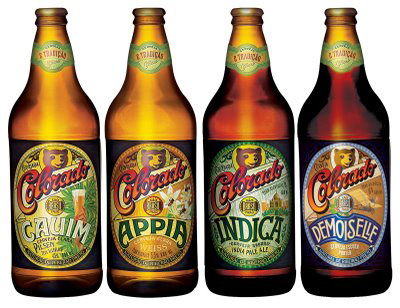 Happily, this call drew me into the rapidly expanding Brazilian craft beer scene. 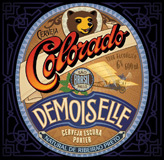 Colorado was chosen as a name because the state in the US was well-known there to be an epicenter of craft beer. 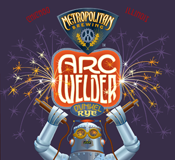 Marcelo Carneira da Rocha was looking for something with an American craft beer vibe, and I certainly could help him create that. 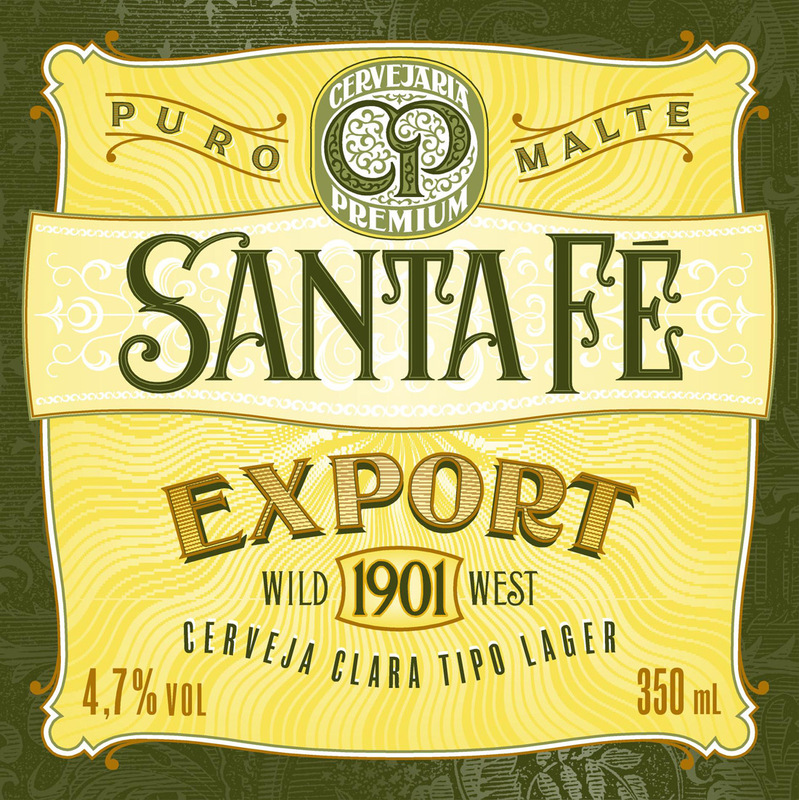 I thought it might be more fun to take some cues from Latin American beer labels [link], which I admired for their naive ebullience and graphic boldness. Marcelo agreed. 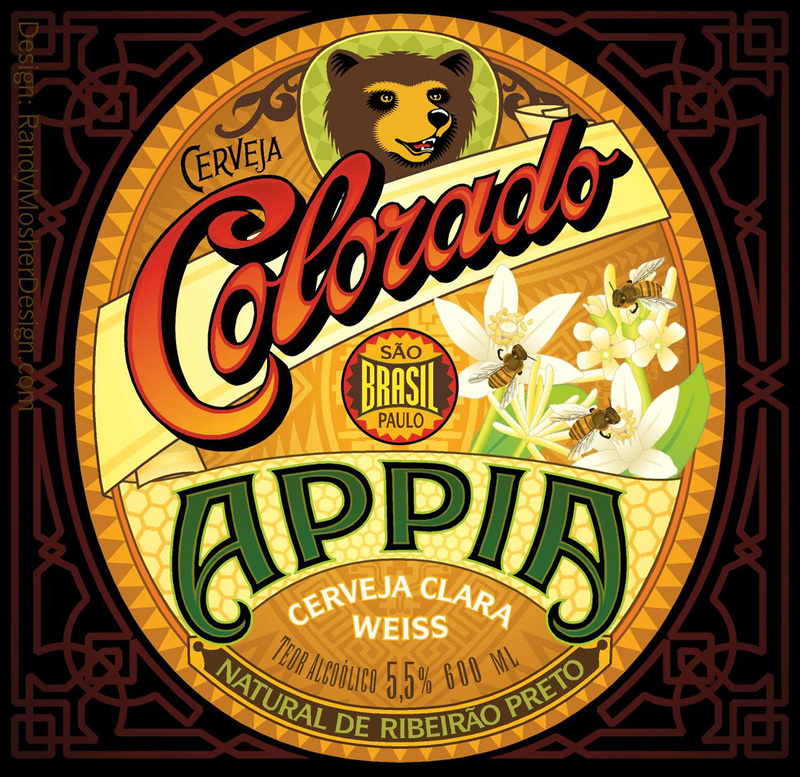 Colorado was an early craft brewer in Brazil, founded in 1996 as a stylish brewpub in Riberão Preto, a famous brewing city several hours north of São Paulo. 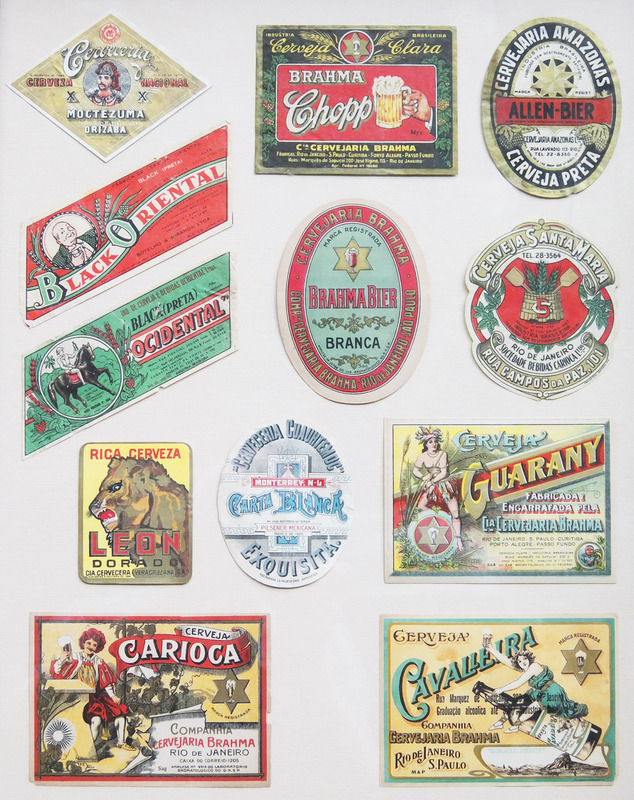 Many early craft breweries had focused on Reinheitsgebot lagers formulated for Brazilian taste—that is, with minimal hops and a super-light body. 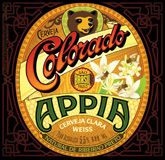 A few, like Colorado, were experimenting with more characterful styles. 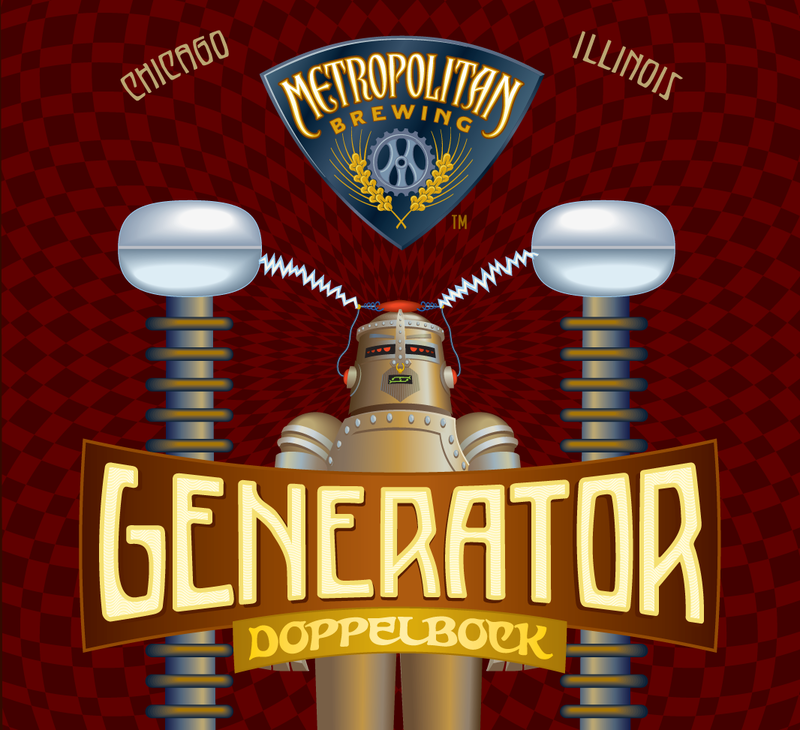 Marcelo had sold the brewpub and was reinventing the company as a production brewery, and was also drawing cautious Brazilian drinkers into bolder and more diverse drinking. 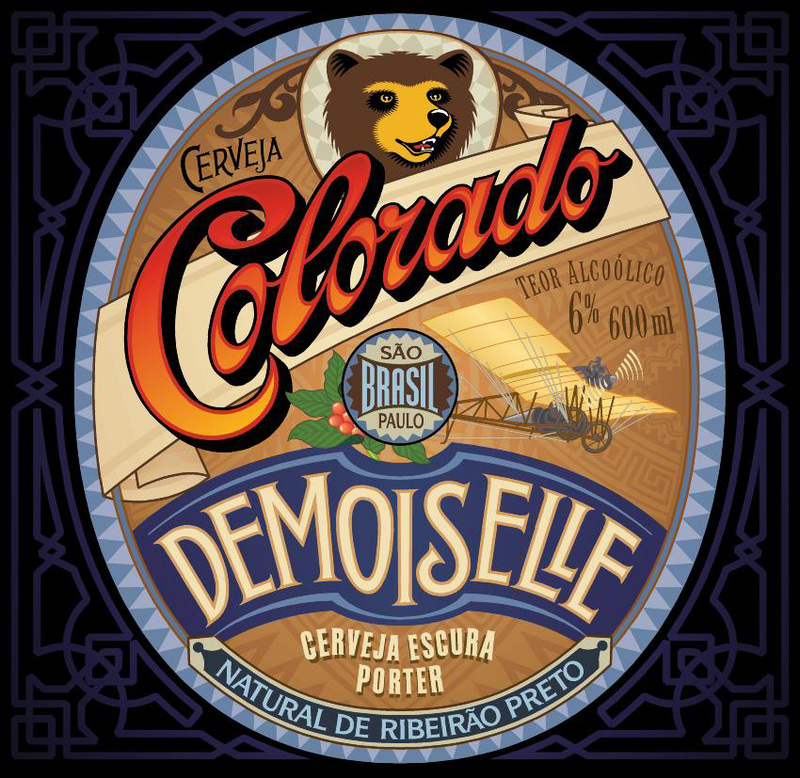 The brewery’s symbol had been a bear, but a rather passive and corporate one, so I created an icon representing the South American spectacled bear, and we decided to make him a little bit friendly, but also a little bit dangerous, by showing his teeth. He sums up the psyche of the brewery perfectly. 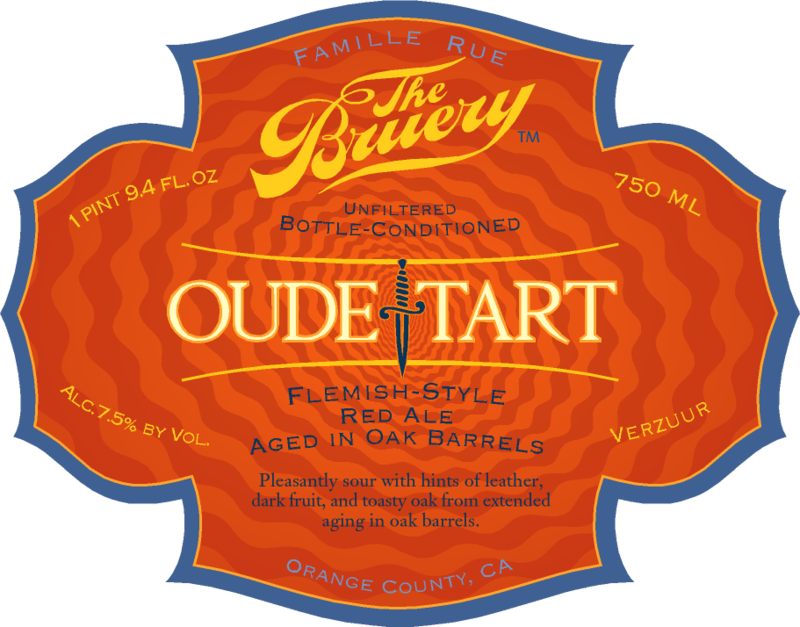 The labels use bright colors and bold typography in a classic oval shape, with illustrations as secondary elements. A complex Amazonian tribal pattern forms the background. 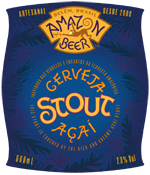 After creating labels for the Brazilian market for half a dozen beers, I adapted the labels into English for importation of the beers into the US. Marcelo has become a good friend and a sponsor in Brazil, helping me with travel and appearances and promoting my books and more. Brazil is a beautiful country full of really fabulous people and great food, all very lively and varied. There are a lot more similarities with the United States that we might think. I can’t wait for my next trip back. 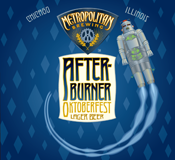 Lakefront was my first brewery client. 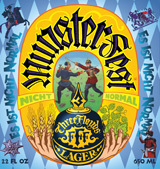 I had met founder Russ Klisch and his brother Jim in the late 1980s through beer events in the area. 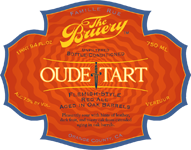 After crowdsourcing their first labels, they were ready for some professional help. Russ knew I was a designer, so we started working together about 1990. 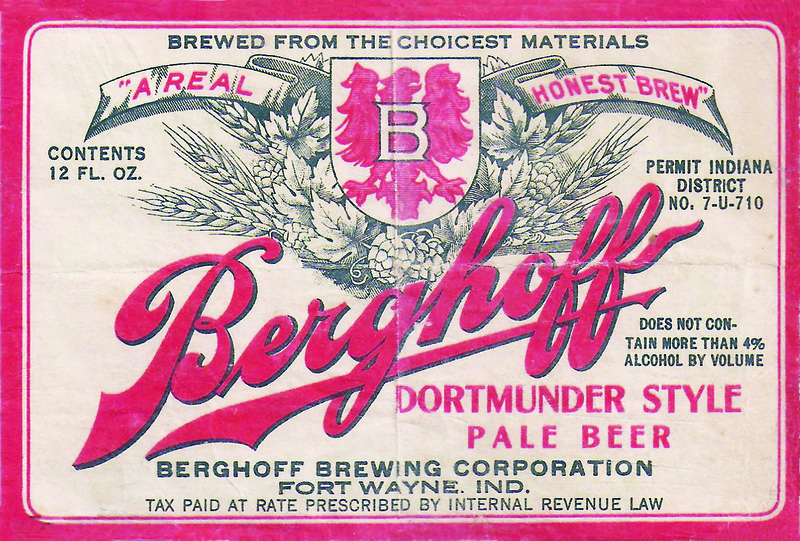 Craft beer was a simpler place back then, as were the tools for computer graphic design: the labels reflect both of those realities. 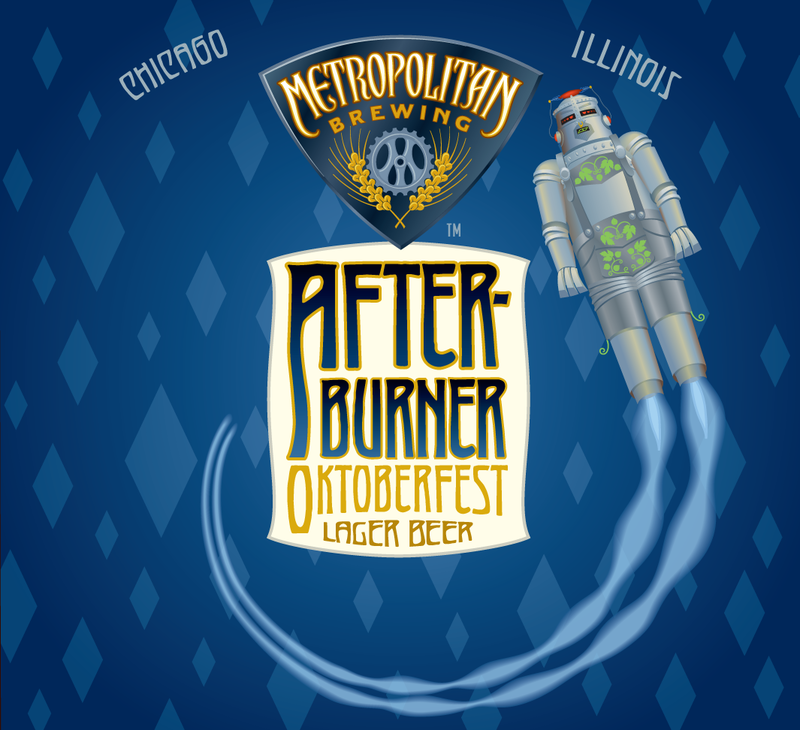 I had always thought of Lakefront’s positioning as “beers your grandpa would have drank if he’d had any sense.” So I developed them to have a classic, nostalgic style, perfect companions to a fish fry. 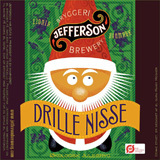 As a rule, I created everything on these labels, including the illustrations. 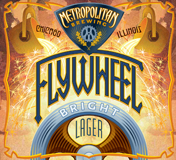 Nick Floyd is a certified genius of craft beer, and also a classic example of “I’ll brew what I damn well please, and I really don’t give a #$&@ what anyone else does” as a path to craft beer success. 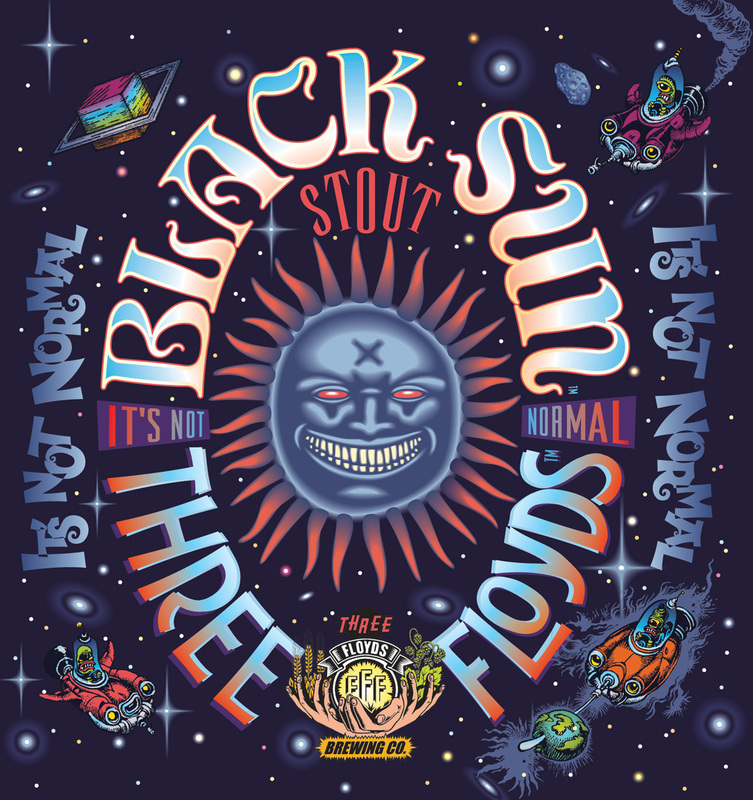 He’s also a keen judge of coolness, has an obvious fascination with the world of fantasy, and does all he can to bring these together in Three Floyds. 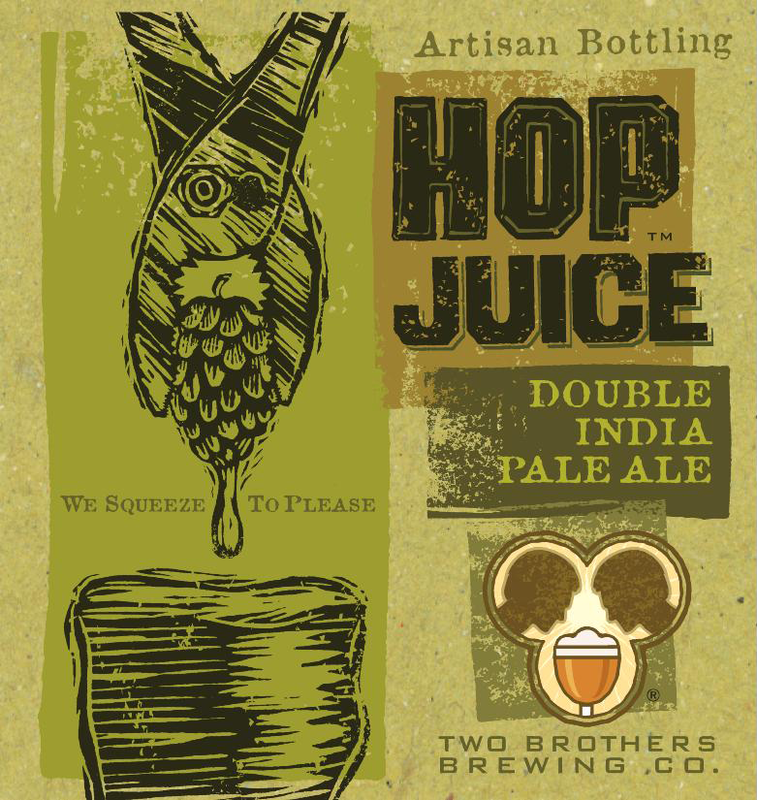 The usual deal was this: Nick would meet an artist in a bar, have a few beers, and then two weeks later I would get an illustration in the mail with a request from Nick to turn it into a label. Those illustrators weren’t particularly great at following directions, or Nick may not have given them any. 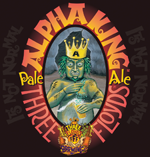 Consequently I did a lot of digital cut and paste, and of course, wrapped everything up in colors and typography appropriate for Three Floyds. The “It’s Not Normal” slogan was spotted by me on the bottom of a yellow legal sheet of scrawled rambling instructions. 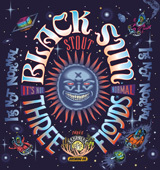 Because I thought it pretty well summed up the whole enterprise, I began slapping it on everything Three Floyds-related. 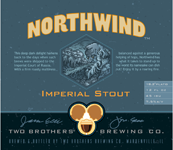 I put together their labels and promotional materials for 13 years. 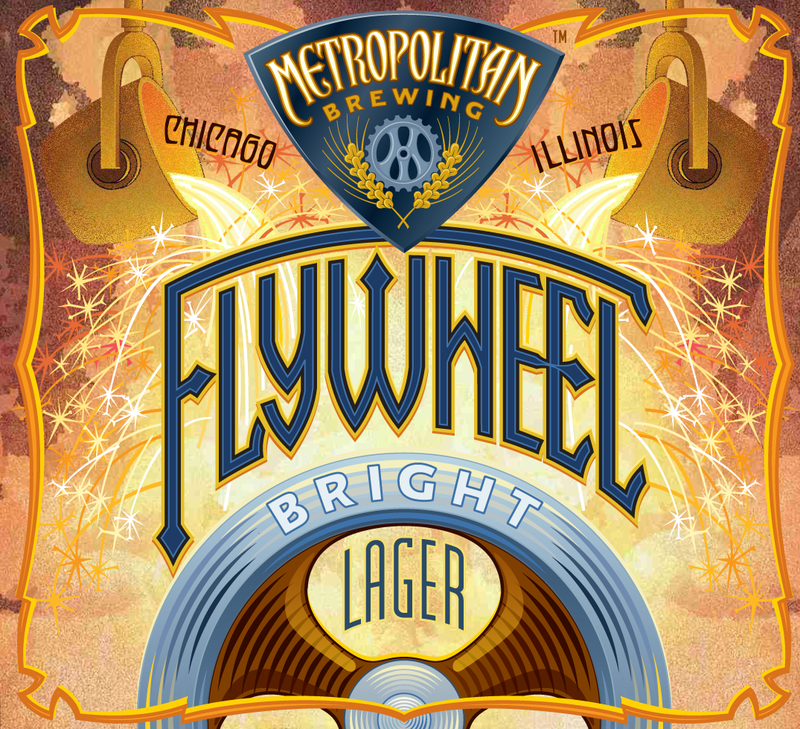 I used to refer to this brewery as the anti-Floyds. 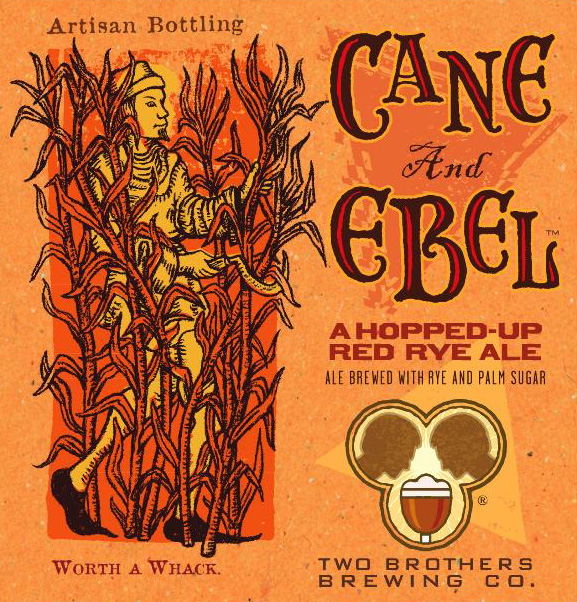 Jason and Jim Ebel, the two brothers who run it are no less intense than Nick Floyd, but are subtle, introspective and quite measured in what they do. 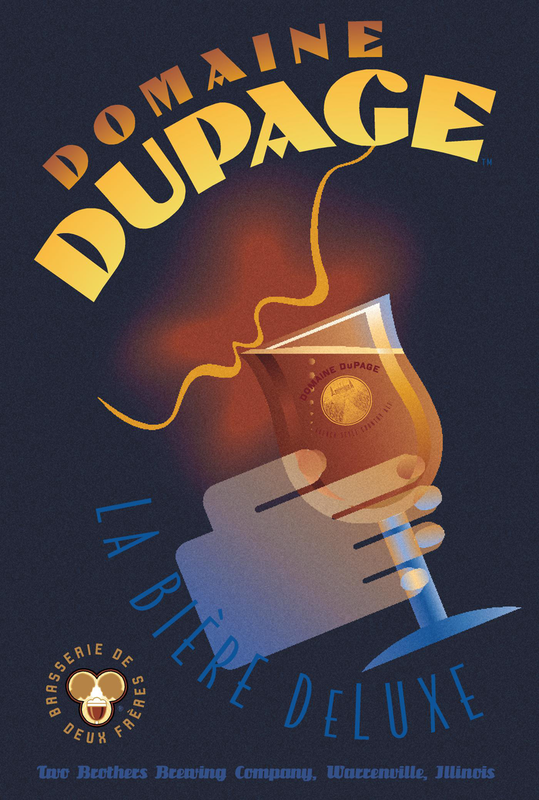 Having spent some time in Belgium as a student, Jason grew to love the deceptive simplicity of Belgian beer as well as the idiosyncrasy of the beers there. 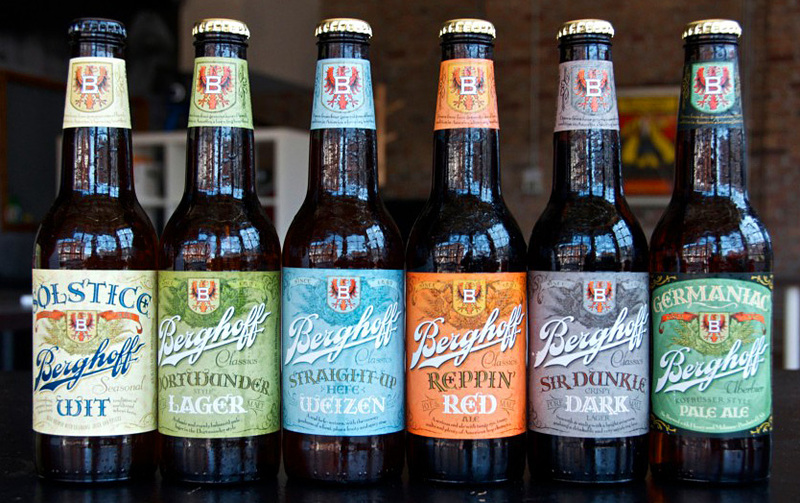 It became his mission to create beers that were different than else’s. 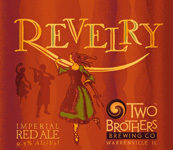 Some clients provide a lot of direction, others not so much, and Two Brothers was definitely in the latter camp. But we kept working away and always ended up with something we were all proud of. 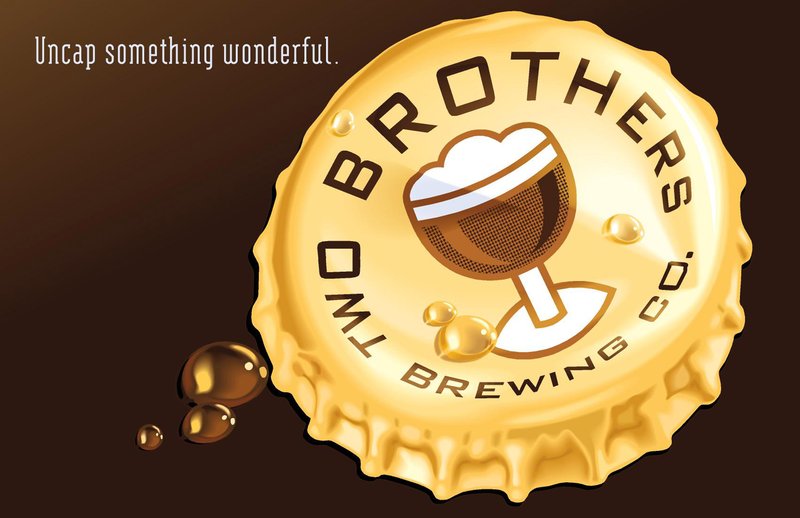 The very first logo I did for them incorporated two head profiles to represent the brothers, enclosed in a trefoil shape along with a chalice of beer, aiming for hints of Belgian-ness without coming right out and saying it. 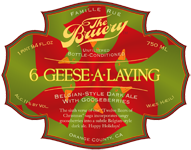 After a few months, people started saying, “Hey, give me that ‘gay’ beer,” and it appeared that we had a problem with that logo. 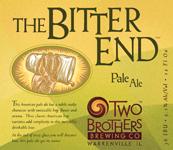 Apparently, people thought the “brothers” were paying a little too much attention to each other and too little to the beer. We quickly made a few subtle changes (mouse-over to see) to the logo and the comments disappeared. It’s always amazing how much meaning people can derive from some simple shapes on a page. It’s a testament to the Two Brothers’ patience and long range view that they stuck with the concept rather than panicking and starting all over. 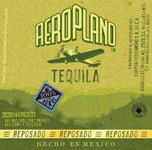 Then we began to translate it into new labels, keeping the small illustrations I’d done for each brand. 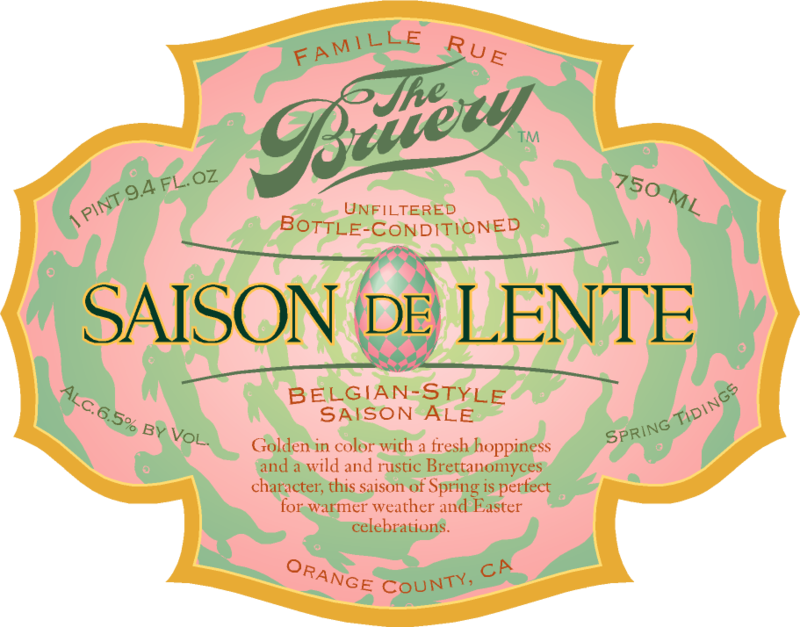 I’ve always felt that the subtlety of the labels is highly reflective of the elegant and understated beer inside the bottles. 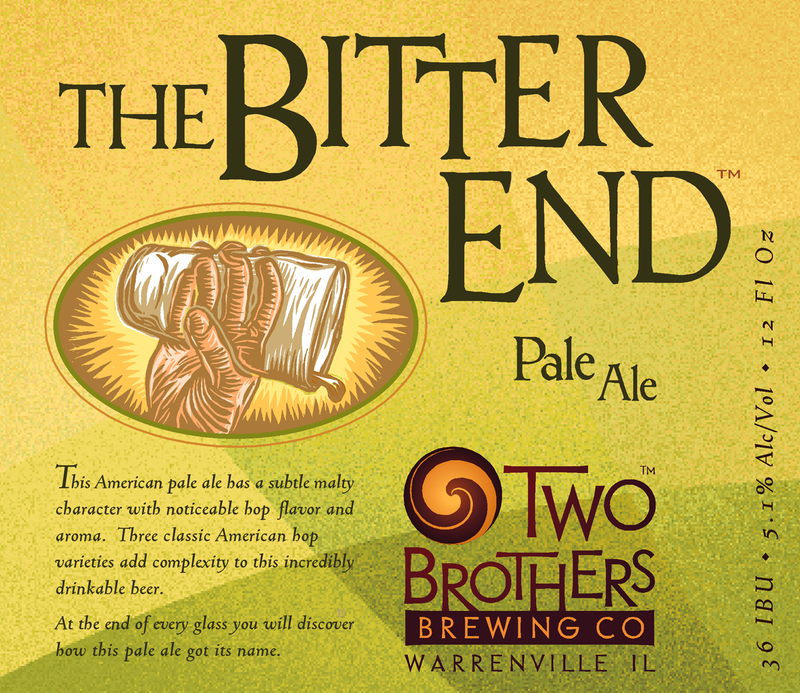 I also did several promotional projects for Two Brothers, such as these two posters. 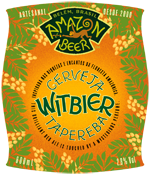 This small brewery is a father-son project in Belém, Brazil, close to where the Amazon meets the sea. 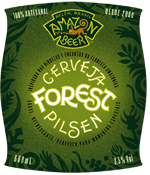 Arlindo Guimãeres and his son Caio wanted some stylish and unique merchandise to sell in their sprawling upscale brewpub, and to reflect their mission to bring the taste of the wild forest into their beers. I auditioned a lot of animals, but ultimately decided on a monkey reaching out his hand for a piece of fruit. 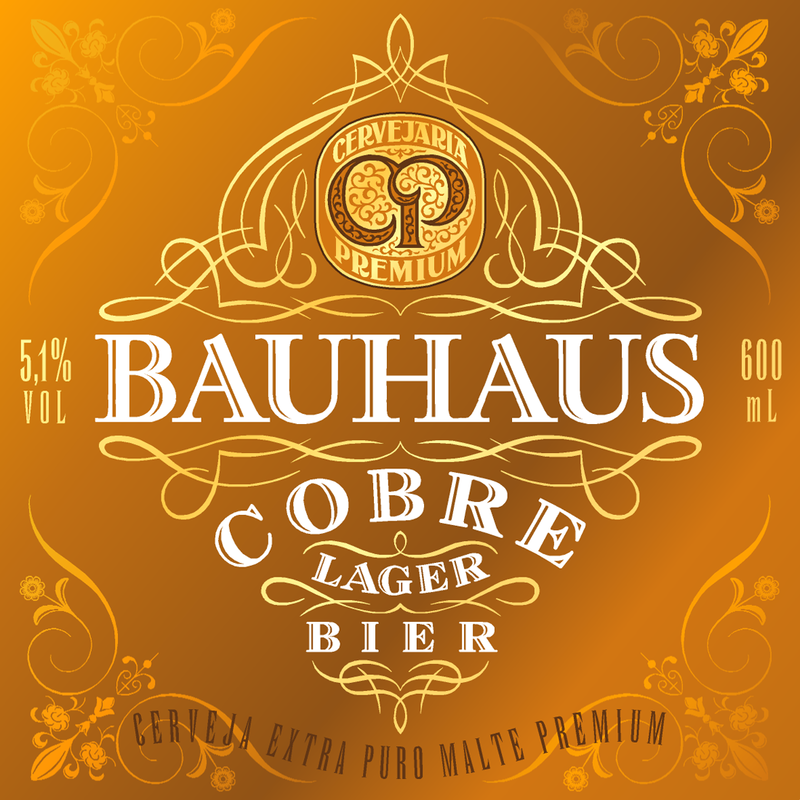 The shapes and lettering are curvilinear, organic shapes, and the labels themselves have a sinuous, curvy shape. I’ve made an effort to keep the forest elements a little mysterious, like shadows half-seen in the dim light. The beers themselves are tasty and quite fascinating, and introduced me to a number of amazing wild fruits from their region. 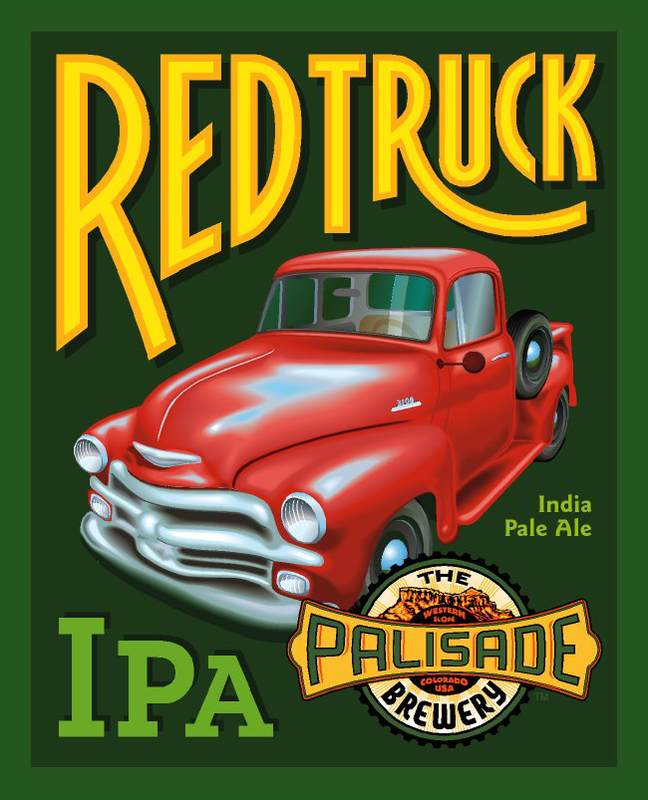 Logo and labels for Mother Road Brewing Co., located near Route 66 in Flagstaff, Arizona. They wanted to honor this historic road trip, but not in the typical 1950s way. 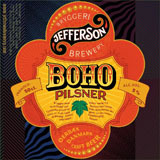 Many of the labels are based on important local landmarks. 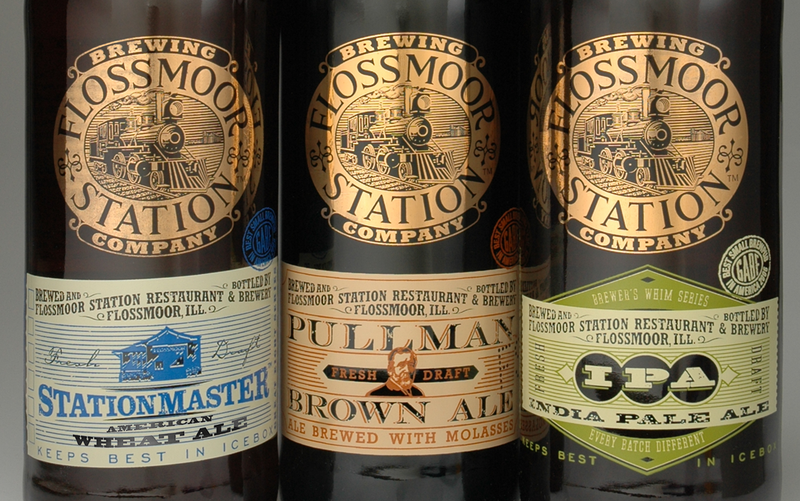 Printed bottles for Flossmoor Station, a brewpub in a train station in Chicago’s far southern suburbs. I used a train ticket motif to emphasize the location. The logo is printed in 23-carat gold. 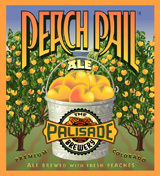 Logo and labels for Palisade Brewing, in Western Colorado. 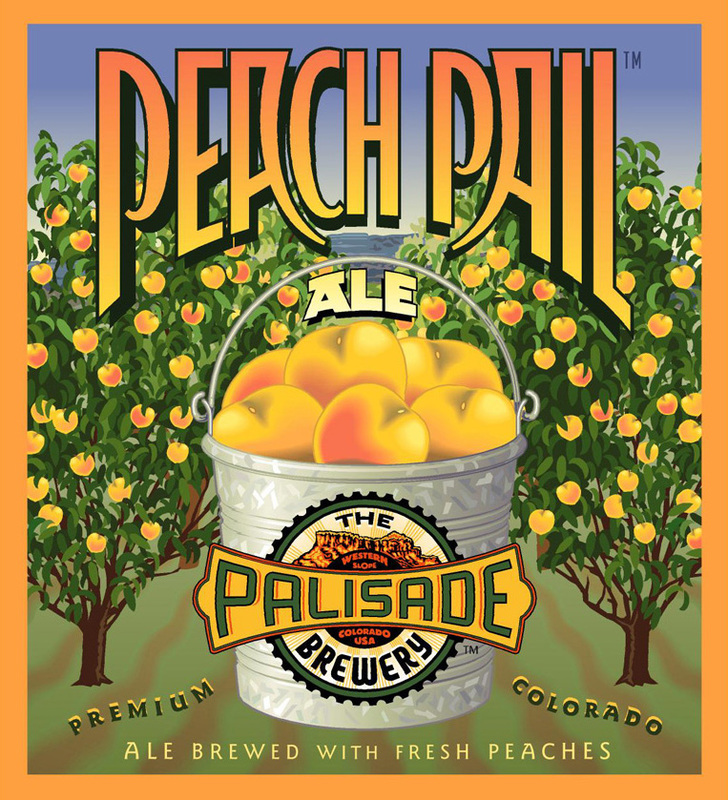 Located in a fruit-growing region, Palisade wanted—and I created—an old-time fruit crate label look for their beers. 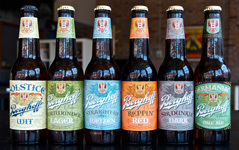 Brand identity for the Hoster Brewing Company, a powerhouse regional nineteenth century brand based in Columbus, Ohio. 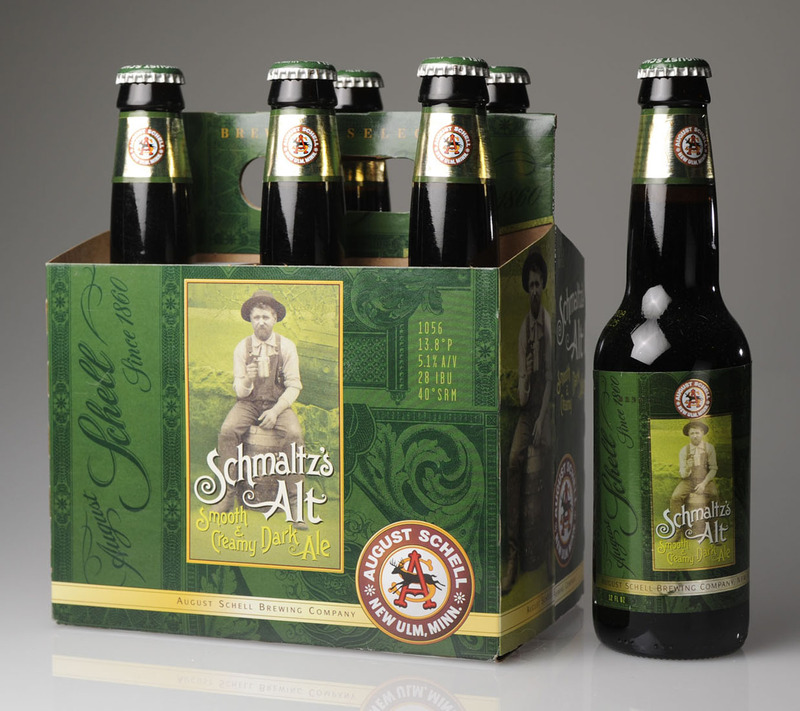 Two anniversary logos plus a beer package for the August Schell Brewing Company in New Ulm, Minnesota.Schell's is the second oldest brewery in the counrty. 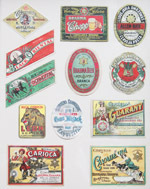 Beer can designs for a Brazilian client, Cervejaria Premium. 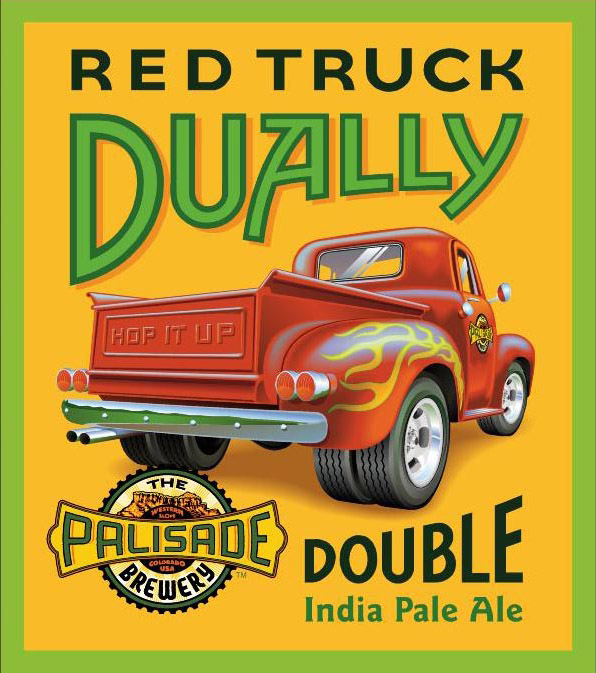 These two series of beers straddle the line between craft and more mass-market products, featuring lagers and more delicate ales. 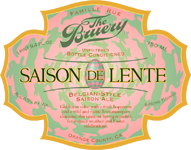 My specialty is beer, but I have worked on label and packaging projects for everything from household cleaners to candy, not all of which are as beautiful as beer labels. Nevertheless, some of this work has its charms. 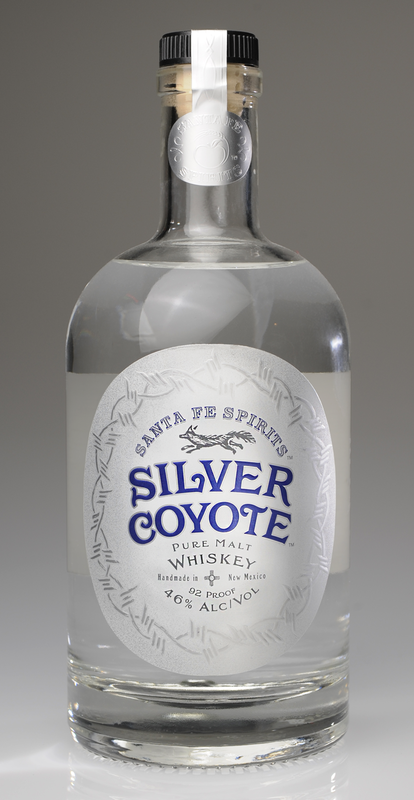 This label for a white whiskey was done for Santa Fe Sprits, a startup in New Mexico. I created this ginger ale 4-pack for a client who also had the iconic Midwestern soda brand, Frostop, and was also attempting to revive the old Hoster Brewing Company brand in Columbus, Ohio. 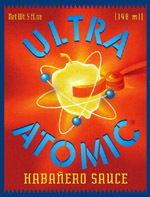 This label for a hot chile sauce was done as part of a series inder the name "The Chile Guys." 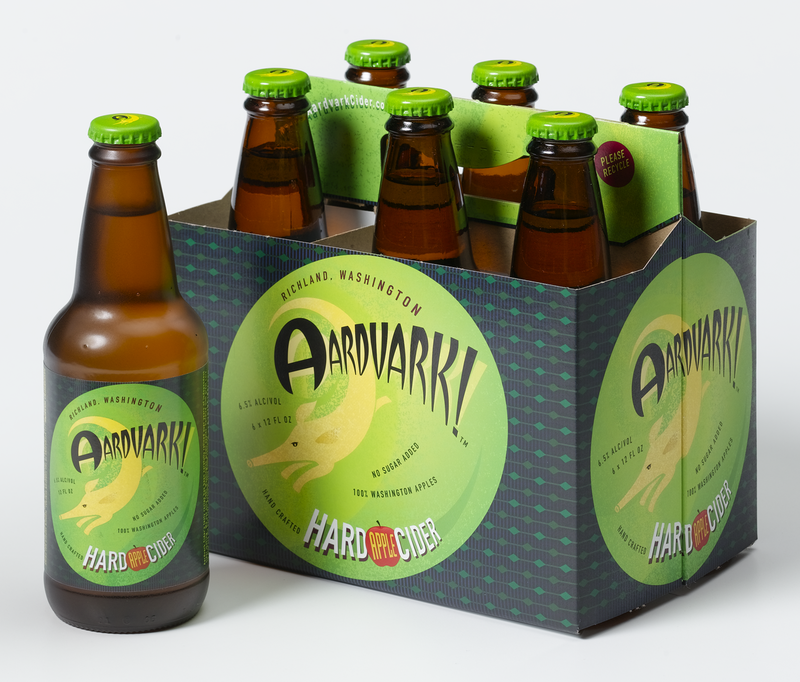 Branding for hard cider is similar to beer, but at the same time, follows different visual rules. This was created for a company in Washington state. 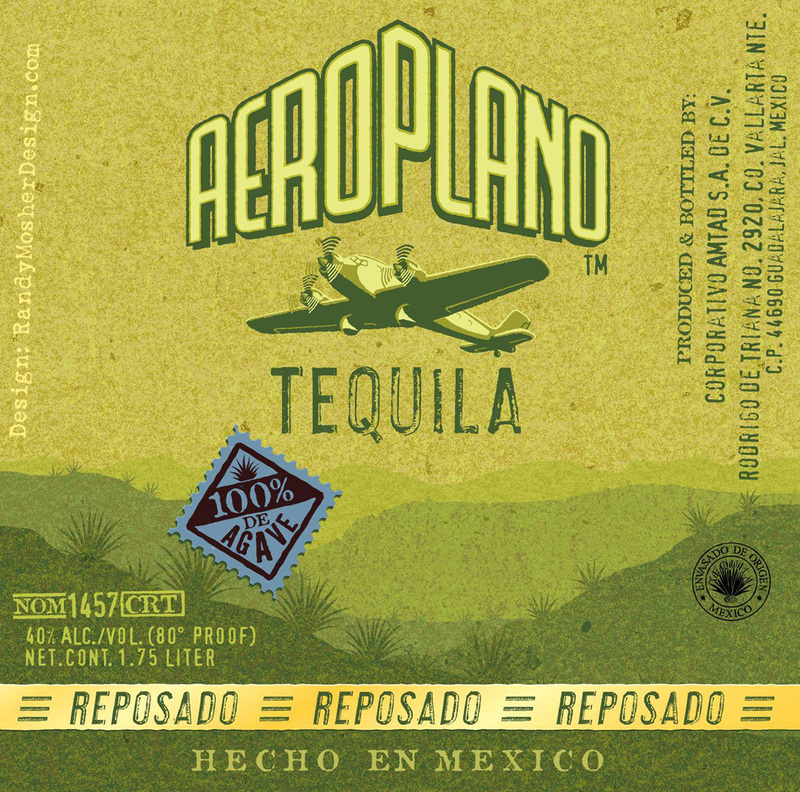 This label was created for a brand intended to be a value-priced 100% blue agave tequila made by a large cooperative producer. 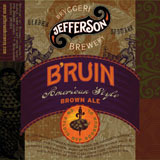 Some of my earliest beer labels were for my own homebrew, a pretty common situation with homebrewer designers. Prior to the advent of the home computer, I cobbled these labels together from old books, hand-lettering them and using rubber stamps after Xeroxing them on colored paper—techniques that still work great today. My first job out of college was for a firm in Cincinnati then called Cato Johnson, then a part of Young & Rubicam. 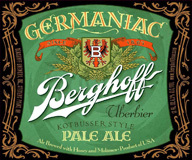 Many years later it bought itself back and became the powerhouse firm, Libby Perszig Kathman. 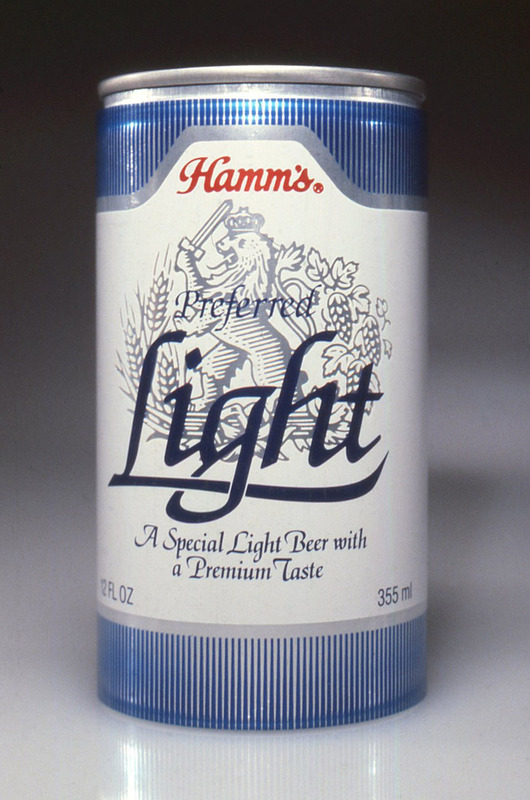 It was a great opportunity for a young designer to work on national accounts, and this can, done in 1979, is an example of that. Merchandise. 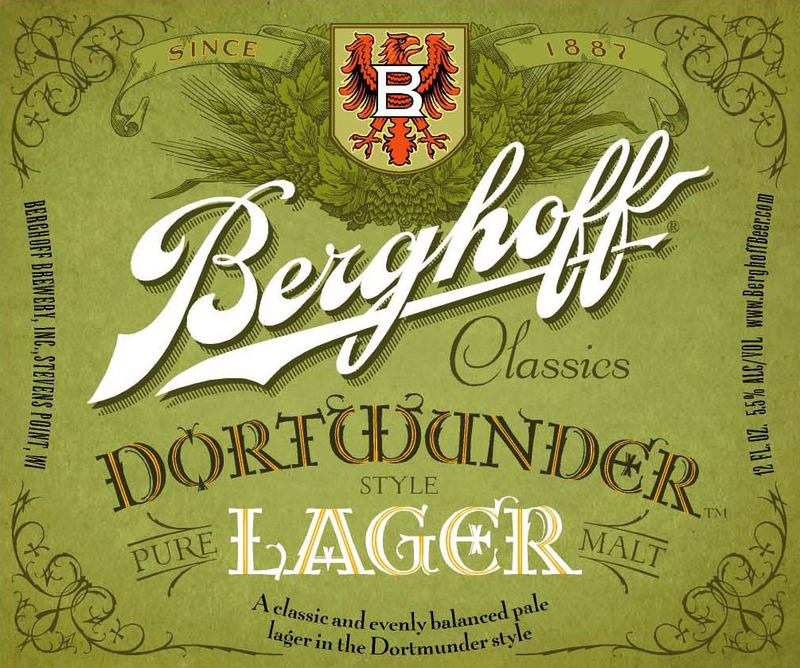 Things like t-shirts, glassware and other merchandise are typically based on the core images of the main brewery brand, or of particular beer identities or packages. Every one of these articles has different requirements and limitations, and in many cases, special versions of the art will be required, on which I can consult, and produce as needed. Glassware. The norm is to have an inexpensive pint-sized glass for giveaways, and sometimes a more upscale glass printed with more colors for a saleable item, but the specifics really depend on the brand image being conveyed. Point-of-Purchase. This can encompass many items, but essentials include coasters and modestly-sized wall signage. 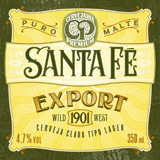 These are usually a pretty straightforward expression of brewery or beer brand. I can consult on and produce art for all types of POP items, including coaster, posters/tin tackers, specialty signage, and whatever else is needed. Tap Handles. This is the most challenging thing I do. The environment where tap handles live is dark and crowded, and the 3” maximum width and an overall vertical shape is not exactly a designer’s dream. 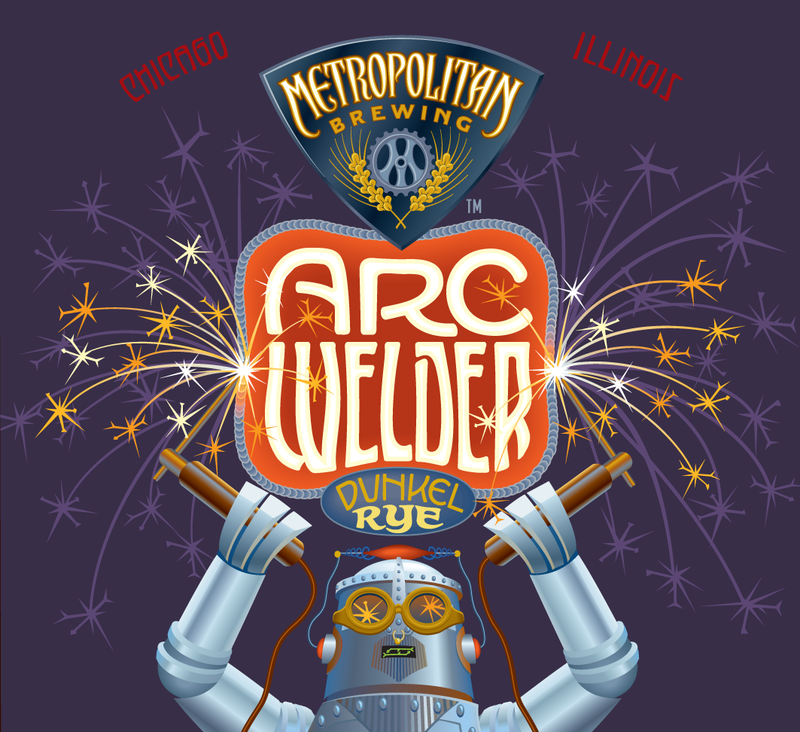 They need to be field-swappable with the specific beer information, usually by means of stickers, magnets or other interchangeable parts, so the whole handle doesn't need to be changed out. Then there’s the fact that this is a three-dimensional object, which means that manufacturing is anything but straightforward. It is really a tough set of specifications. Another thing to keep in mind is that lead times for manufactured handles can be months long, so it's usually a good idea to start working on them as soon as possible after the logo is done. Sales Tools. 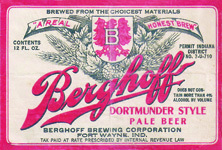 Sales sheets are essential and typically include a general description of the brewery and brand idea, and specifics on each beer, including a description, stats like alcohol percentage, bitterness and more, food pairing suggestions, appropriate glassware and serving temperatures, plus a photo of the package and a beer in a glass so people can see what the beer actually looks like. Sometimes it's useful to put this information in a postcard and write it in such a way as to be useful to consumers and the trade alike.